Guangzhou-Shanghai Express is named the third busiest airway after Beijing-Shanghai and Beijing-Guangzhou. Fly and lighten the airway with us this weekend! 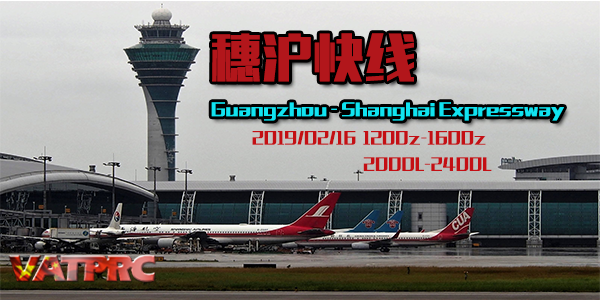 NOTAM:Since Guangzhou Baiyun Airport(ZGGG) new runway has operated in 2016. we do suggest you to visit scenery to update your Guangzhou Baiyun Airport (ZGGG) scenery in your Flight Simulation. Thank you for your cooperation. Event has been added to VATSIM event calendar: https://www.vatsim.net/events/guangzhou ... pressway-0 .